A public-private partnership (PPP) is a contractual arrangement with appropriate risk sharing between public and private partners for the delivery of public infrastructure or services, which is intended to create value-for-money to the taxpayer. 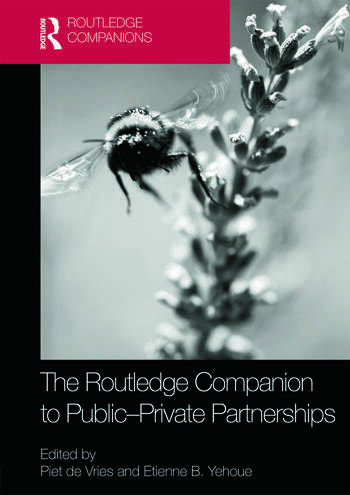 The Routledge Companion to Public-Private Partnerships provides a cutting-edge survey of the field. PPPs remain a highly controversial subject matter globally and this comprehensive and authoritative volume provides a terrific compendium of information for students and scholars charged with understanding, critiquing and advancing this model. With sections devoted to legal aspects, institutional economics perspectives, finance and accountability - the editors draw together an impressive range of contributors from around the world.